I love being real and sharing a glimpse into my heart and life each week with y'all through "Five on Friday". Last Friday's post was all about the light-hearted happiness of sunshine and long walks, and those thoughts really are my reality most of the time. But if I didn't share some of the other side of things (the fears, the tears, and the freak-outs) then I wouldn't be truly being real. And that, my friends, is one of my biggest hopes for this space! So here are five of the biggies for this week, full of celebrations, hopeful anticipation, panic attacks, and the peace that comes from the encouragement of others. Have a wonderful weekend! Sooo... this happened the other day. And I totally freaked out. Yep. I literally looked down while washing my hand to find that one of my worst nightmares had come true: somehow the main diamond on my wedding ring had totally broken off...and was no where to be found. This was at 11:00 pm, so I of course began frantically retracing my steps, Aaron searched the drain pipe, I called 54th Street...nothing. After some tears and a quick check to make sure my Jeweler's Insurance was up to date, I ended up miraculously finding it in the crevice of my coat pocket the next morning. I'm thankful that it can be fixed, and that my ring will still have the same diamond it did on the day we said I do. Getting a new diamond would've been covered, but I found myself crying most at the thought that I'd no longer be wearing the exact ring and diamond that Aaron picked out for me. Sentimentalist that I am, I'd pick that over anything else. 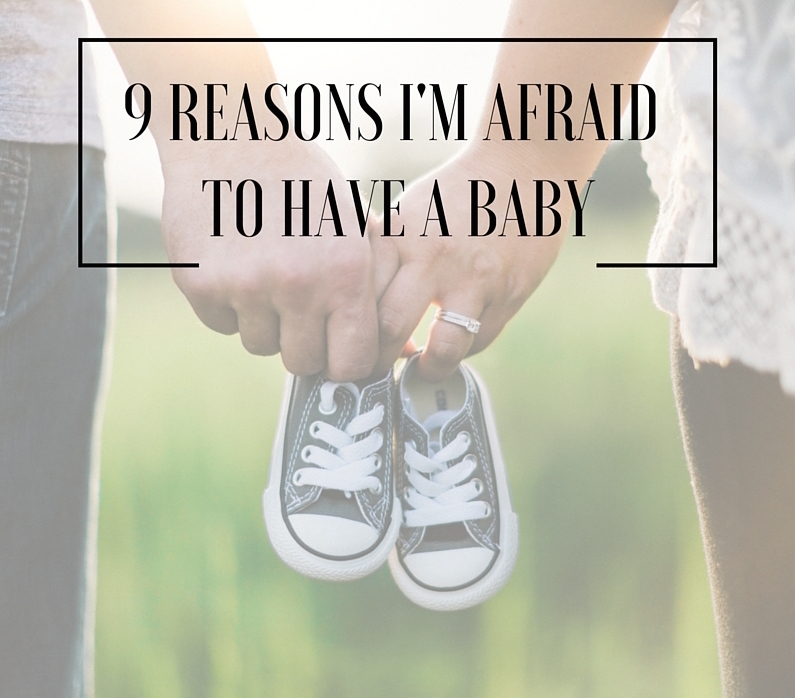 If you missed it, this Monday I shared 9 Reasons I'm Afraid to Have a Baby. I would like to personally thank each and every one of you who sent me text or Facebook messages, commented, or just took the time to share your heart as a result of this post. I am completely overwhelmed by your support and encouragement, your "me too, girl" or "I had these once" affirmations, and especially your prayers. I am excited by the thought of kids, and definitely feel like even the process of writing this post and reading and responding to each and every comment really helped me move forward in this area. 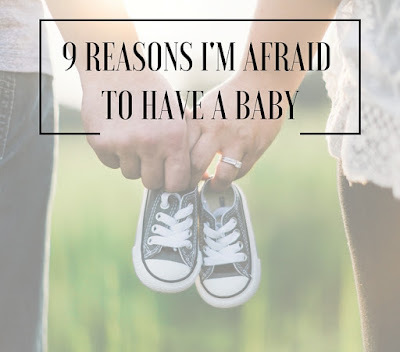 I am so grateful that I don't have to "overcome" all of these fears in order to have kids; instead, I will eventually reach a point where my hope in the Lord and my excitement about having a baby will overrule any fears I may still have. Thanks again! Tomorrow I'll spend my day watching kiddos compete at the regional National History Day competition. If you've never heard of it, it's a really awesome competition where tons of kids around the nation choose, research, and present on a historical topic that relates to a theme. This year, it's "Exploration, Encounter, and Exchange". Kids can do performances, create documentaries and websites, or even write papers. All of my gifted freshman compete in the competition, as it is an excellent project based ending for their research, research writing, and speaking and listening skills. I'm excited to see kids move on to state, and hopefully nationals in D.C.! Tonight is a really big night around these parts. Our super awesome girls basketball team got 2nd at state last year, and they are back and hungry for more. They play another very competitive team tonight in the district championship, which also happens to be hosted at our school. The hubs and I, along with lots of other teachers, parents, and friends, have our matching spirit shirts and are ready to hopefully cheer these girls right on in to a sectional game and beyond! I'm just going to say it: I've been blessed with one heck of a husband, and for that I'm so grateful. Most recently, this Eagle Scout, car fixin', guitar pickin' guy has become an elder in our church, picked up some mean magician skills, and kicked off the new middle school version of YoungLife ministry. In my moment of ring "freak out mode", he held me through tears and promised me that it would all be okay. He makes me better in every way. So often our society spends time doggin' on our spouses. All I know is mine's one heck of a catch, and so I'm celebrating him today and every day. I'm so thankful that he chose (and still chooses) me. Here's to a wonderful weekend full of hope, happiness, and some fun! I would've freaked about the ring too!!! Whenever my diamond gets caught on something I immediately check it. So happy that it is covered and you were able to find the diamond! Um yes, it was terrifying! I totally do the same thing, which is why it was so stinkin' weird to look down and see it missing! I would have had a heart attack too! Good thing you found your diamond. Props to Aaron for being awesome. Ah! Amen to all of that Alanna! It was so crazy that I found it, just when I thought all hope was lost :) Aaron rocks. Wow! You definitely had one interesting week! I'm so sorry to hear about your ring, but I'm also happy that you're able to have it fixed. Also wanted to reach out and thank you again for writing your post on why you're afraid to have kids. I related so much with it, and I'm glad I'm not alone with those fears and feelings! It was an odd week for sure! I am so grateful that I did find the diamond. Thanks again for your encouragement- I am so so grateful for that, and totally feel the same way. It's nice knowing we aren't alone. Hope your weekend has been fabulous! I would have freaked out about the diamond as well! So glad you found it! Me too! I'm so grateful. Hope it's been a fabulous day! Gosh, me too, LaurenJane! It's crazy how much it meant to me to have my original one! Oh gosh, I have a huge fear of losing a diamond in my rings. So scary glad you found yours. Also sounds like you married a fab guy! It's definitely a fear of mine...and know it's a lot more real. Hoping this is the last time I have to worry about it. He is pretty great- I'm a lucky lady. Thanks for reading! SO scary about the ring! I actually completely LOST my engagement at the gym about a month before our wedding. I had a full on meltdown for 2 days - and it MAGICALLY turned up. I have a feeling an employee took it and returned it, since I tore apart where I left it and went through all of the trash cans.. either way, I was very happy! Ah!! That's crazy. So fun that you found it!! I would have been so worried for sure. OMG I would absolutely have a panic attack if I lost the diamond from my ring! Amen to that one. I was too shocked to even be upset for a while. It was so creepy to look down and see everything but the main diamond! OH MY GOSH!!! So scary that your diamond fell out! Thank goodness you found it though. Phew! Stopping by from the linkup. Hope you have a fabulous weekend and get that ring fixed quickly! It was nerve-wracking for sure. Grateful to have it. Thanks for stopping by. I'm hoping to get the ring in tomorrow! I would have totally freaked out about the missing diamond! I'm so glad you found it!!! Enjoyed reading your weekly update. Have a great weekend! Ahhh, me too! So crazy how it all happened. Thanks so very much for stopping by and for commenting :) Hope it's been a great weekend! So glad you found your diamond! I would've reacted the same way. A replacement just wouldn't be the same! Amen to that, Dara! It's amazing how sentimental I felt about it!! This is lovely! I'm so sorry about your ring! Glad it can be fixed! I think everyone goes through fear of having kids - and then they become another appendage you can't imagine you lived without! All the best to you! So glad you found your diamond! I would have freaked out too! It was scary for sure! Grateful that I did find it! Oh my gosh, I would have freaked, too! What a crazy thing that you found it! You're right, it wouldn't be the same to have a replacement. It was pretty freaky, but I do feel good that we found it. Replacing it would have been sad!